At the begining of this year, one of my favorite Cork people decided to set up a very special spot on her popular books blog called – #IrishWritersWeds – so was born an opportunity for writers of all shapes and sizes, ilks and traditions – to contribute something of their journey to a shared page. Thanks so much to Mairead for having me and I really encourage you to check out the blog for news of the best in books! Today on #IrishWritersWed I am joined by the lovely Faith Hogan. Faith is the author of two novels and is currently hiding away writing book 3. Publishing – and the truth of the overnight success. There are very few overnight success stories in publishing. I say this because too often, young writers, starting out become disheartened – if I tell the truth, when I was starting out after college, I didn’t for a moment consider I could be a writer. Of course, I wrote, dabbled – but just for fun, I would tell myself. Writing was diverting, it was a way of escaping into the rabbit hole of my imagination. I loved everything about it, from the sound of the keys tapping on the key board before me, to the idea of finding the perfect pen and notebook. I was and will always be, one of those people who will happily spend all day in a bookshop and never ask to leave it (much to my daughters’ annoyance while I still hold the credit card!) Words – nicely strung together ones, struck me. They still do. They stay with me, long after the message they were meant to convey has long left my mind. As I said, I just loved to write – but to be a writer – me? Not a hope, I thought – so like all of us sensible people, I concentrated on the half of my degree that seemed like it might have some chance of paying off a mortgage some day! I wrote down those lines as she said them and they have become like a mantra to me. For a long time, they were my screen saver on my computer – they were my refrain when it felt like there was no hope. If you start to write, there is a good chance, that there will be times when you will question every word you put on paper. There will be occasions when you will resent the time you spent on a submission that seemed to get you nowhere. Rejection letters – and there will be some, can drain the positivity of a saint. And, of course, there will be times when you will wonder why you’re bothering with all this malarkey at all! I would often look at other writers – soaring up the best seller lists and wonder how they managed it – but the truth is, very many of the people we admire have two if not three unsold manuscripts in their bottom drawers at home. Many of our most successful writers have sat in the midlist for two to three books before their break through novel took off for them. None of this is a bad thing – after all, I’m of an age where I remember having to wait for things. 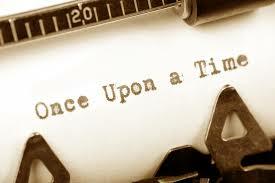 Waiting and writing, re-drafting and editing not only makes a better book, but I think, it also makes a better writer! Sometimes, I will tell them the truth – that being published is the culmination of many years hard work and looking at the stars. It is true, it just took a couple of decades to get here! Thank you so much Faith for this inspiring post. You can purchase a copy of My Husband’s Wives HERE and of course also available now in many bookstores too!! Faith Hogan’s debut novel ‘My Husbands Wives’ went on to top ten chart positions in retailers across the globe. It was just published in Ireland as a trade paperback on the 4th of May 2017. In February 2017 her second novel – ‘Secrets We keep’ was digitally released. Faith has an Hons Degree in English Literature and Psychology, has worked as a fashion model and in the intellectual disability and mental health sector. Faith is currently working on her next novel. She lives in the west of Ireland with her husband, four children and a very fat cat called Norris.